Pay yourself first. It means regularly setting aside part of your earnings, putting some of your income into savings, and it has long been one of the surest ways to build wealth. Paying yourself first starts with budgeting, which is one of the most fundamental aspects of financial planning but also one that most people seem to struggle with. Whether we don’t understand how to do it, or just don’t want to, most of us don’t create a budget and follow it. Many people consider their take-home pay as their budget. They know not to spend more than they make. But budgeting should start on the other side of your finances: what you spend, not what you make. 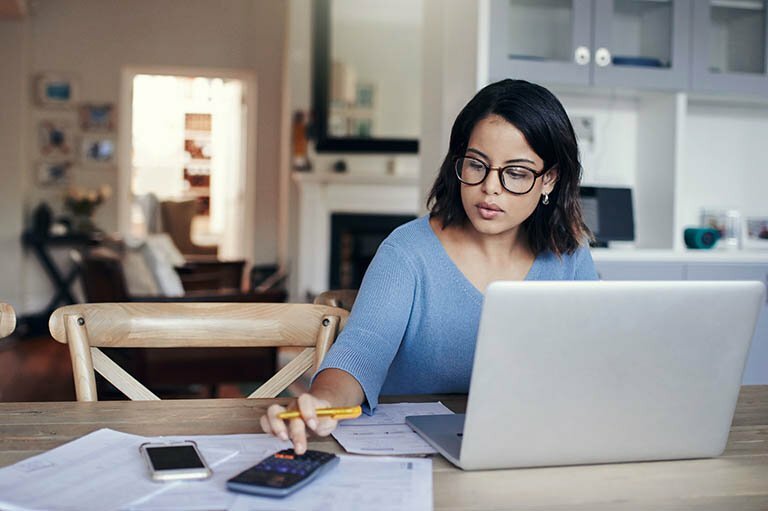 Budgeting starts with documenting your regular monthly expenses – mortgage or rent, food costs, utility bills, car payments, student loan payments. Then add in an amount for entertainment: dinners out, a weekend out of town, concerts and so on. What’s left then goes into savings – and eventually into investments. Essentially what we’re doing is figuring out what you need to live on and putting that into a checking account, then putting the rest into a savings or investment account. You don’t have to be cheap about your expenses. That is, overestimate what you think you’ll need. Then after tracking your expenses for a few months, you might find yourself with additional dollars to set aside and you can adjust your budget for actual expenses. An initial goal for your savings is to build up to three to six months of monthly expenses in your savings account. That’s a cushion you’ll need in case of an interruption in your incomes, like losing a job, while you work to restart your income stream. Expenses aren’t always the same month to month. Your basic bills might be, but often you’ll encounter an additional expense, from something as simple as a new piece of furniture to something more substantial, like a down payment on a new home. Having set aside savings on a monthly basis will give you someplace to go for the money you need to cover unexpected expenses. If you work in a company that offers a 401(k) or other type of forced savings plan, you should first maximize that opportunity by committing at least enough money monthly to take advantage of your employer’s matching contribution. Not only will you be building wealth, you’ll be doing it with tax-deferred dollars, today’s income that you won’t have to pay taxes on until you start withdrawing those funds in your retirement years. Once that money comes out of your pay, your take home is then what you will use to accommodate your budgeted expenses and savings. People who live paycheck to paycheck and never set aside savings find themselves with no place to go when something happens to their income stream or they face an unexpected expense. Meanwhile, people who put some of their earnings every month into savings are often surprised to see how much wealth they build over time. It is particularly important for young people to consider budgeting and savings as early as possible in their working lives. There are few things that grow your money like compounded earnings. Over time, savers can amass substantial wealth. The information included in this document is for general, informational purposes only. It does not contain any investment advice and does not address any individual facts and circumstances. As such, it cannot be relied on as providing any investment advice. If you would like investment advice regarding your specific facts and circumstances, please contact a qualified financial advisor. This document does not contain any accounting or legal advice. If you would like accounting, tax or legal advice, please contact a qualified accountant or attorney. Insurance products are offered through HBK Sorce Insurance LLC. Investment advisory services are offered through HBK Sorce Advisory LLC, doing business as HBKS Wealth Advisors. NOT FDIC INSURED – NOT BANK GUARANTEED – MAY LOSE VALUE, INCLUDING LOSS OF PRINCIPAL – NOT INSURED BY ANY STATE OR FEDERAL AGENCY.